Inspired by the beauty and romance of the East, our striking new collection is an ode to India. A poem to its mystery. A love song to its allure. Wear it on your body. Feel it in your soul. The collection was birthed from a demand from our customers. 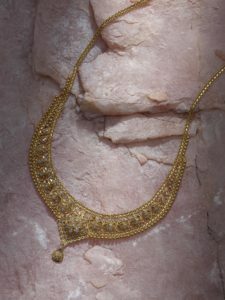 American Swiss has provided traditional Indian jewellery to their customers for many years, but with a growing demand for this unique style of jewellery, the collection has become bigger and better in every way. The Treasures of the East collection is available in selected American Swiss stores: Gateway, Westville & Midlands.